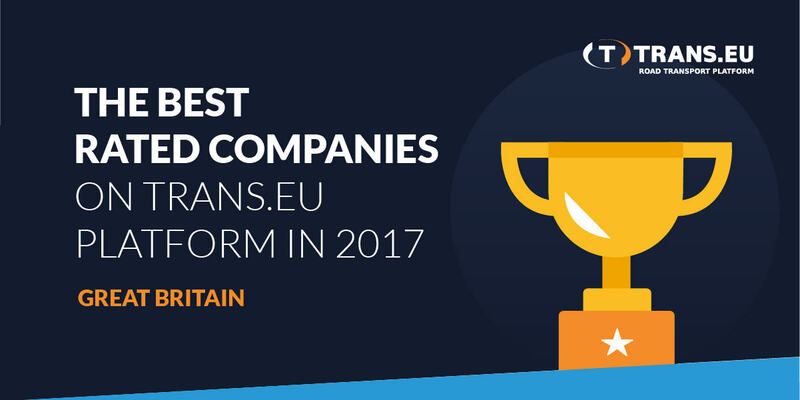 Since 2014, Trans.eu has been presenting the “TOP 10 of the Most Active Companies” operating on the logistics platform. The entrepreneurs listed in the ranking make many transactions with positive ratings and comments and have an impeccable reputation as payers. This year, thanks to opinions from our users, we have changed the form of the previous rankings and introduced the division of companies by activity. 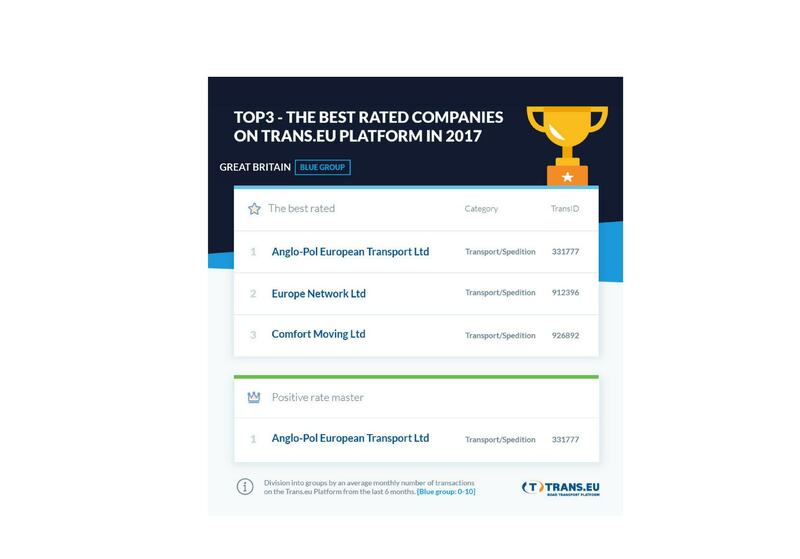 The companies listed in the TOP3/TOP10 made the most positively rated transactions on the Trans.eu Platform. 💡 In the new ranking form, we have introduced: – activity segmentation, i.e. 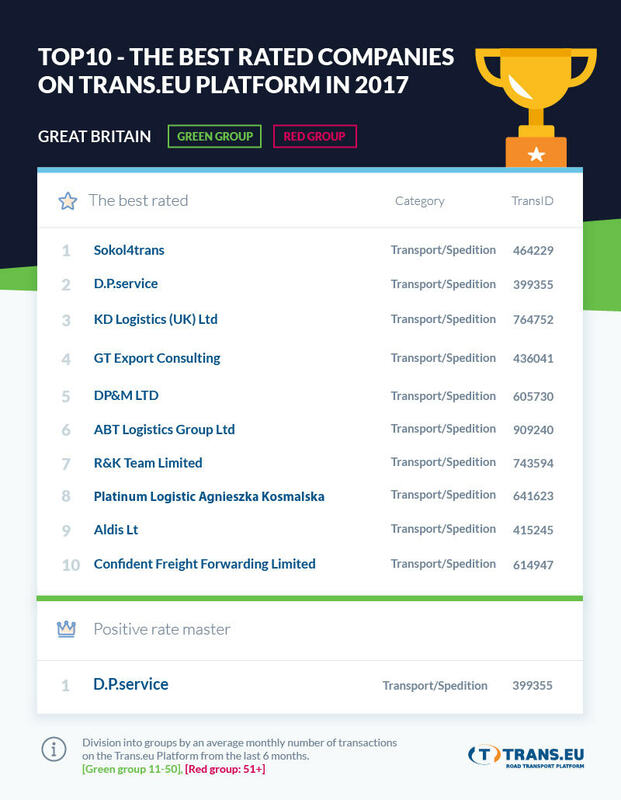 a division of companies into 3 groups by an average monthly number of transactions on the Trans.eu Platform (data from the last 6 months: 1 July 2017 – 31 December 2017) – division into categories by a nature of the business: transport / freight forwarding and trade/production, – the number of points depends on the opinion received: positive: 1 point, neutral: 0 points, negative: -2 points. Curiosity! ⚡ Extra, on each rank we distinguish one “Positive rate master”. It’s a company that among “Best of” has none negative rates. Find out if your company has been listed and share this information with your counterparties!